The adidas Spezial trainer started a legacy of indoor handball silhouettes becoming an all time casual favourite. Not to be confused with Gary Aspden’s adidas line of the same name, the adidas Spezial trainer or Handball Spezial as it is also known, was one of the first handball silhouettes to be released from the German sportswear brand in the late 70s. However the Spezial wasn’t just your average adidas trainer at the time, it was designed for one sport in mind, handball. A popular sport in Germany, and still to this day, the handball game required a shoe that would not only grip to the court but that was also robust, lightweight and built for speed. 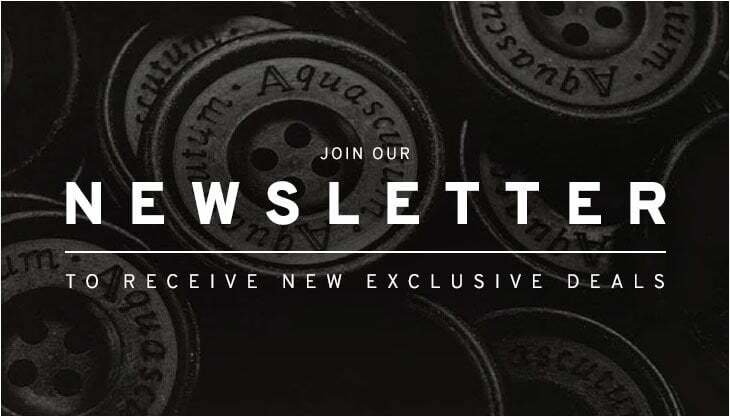 Originating back in 1979, the Spezial also came from a pinnacle era of casual fashion and one upmanship as young casuals looked to find the rarest 3 stripes models they could get their hands on from across Europe. At the time the adidas Spezial was one of them, and quickly became a popular style among the casual elite for its classic 3 stripes look and also the fact the German translation basically means special. When all said and done who doesn’t want something that is special when it comes to rare adidas? 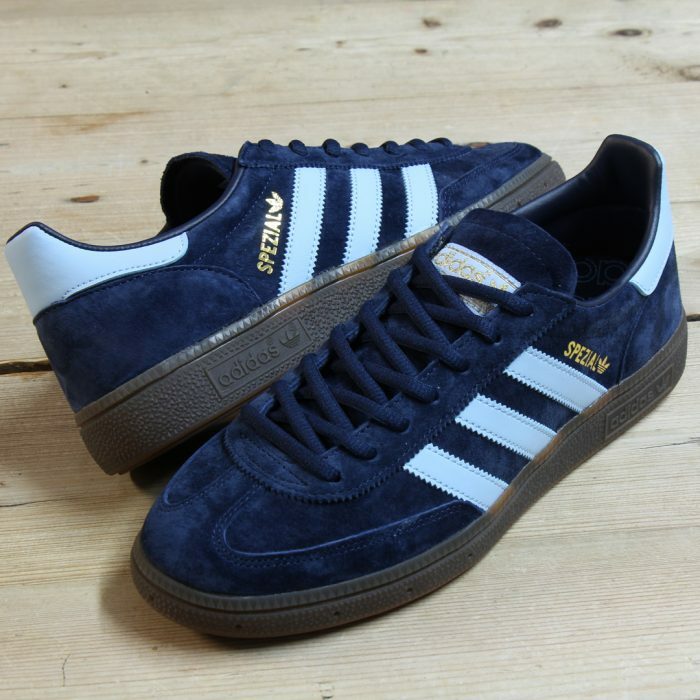 Above: The adidas SPEZIAL trainer in navy/sky now available at 80s Casual Classics. The adidas Spezial wasn’t just a popular casual style but it also started a legacy of indoor handball shoes from the 3 stripes brand such as the Handball Top which arrived 8 years later in 1987. The original ‘traction’ Handball silhouette has become a casual icon since it was first introduced and is still held in high regard among those in the know. After a recent revival, the adidas Spezial has now captured the hearts of trainer enthusiasts, retro lovers and adidas collectors once again. Now available in an assortment of classic adidas and fresh colourways, the Spezial is a great collectors shoe for any 3 stripes fanatic to add to their collection, and a special style there will always be room for. Above: The adidas SPEZIAL trainer in black/white now available at 80s Casual Classics. Featuring premium nubuck suede uppers the Spezial trainer captures the original casual era in true shoe form with its contrasting 3 stripes and the famous grippy gum sole as used by the handball elite of the late 70s and early 80s. The classic 3 stripes silhouette is introduced in an assortment of OG style colourways such as collegiate navy, black and sky blue. We’ve also introduced some very ‘spezial’ St. Paddy’s day limited edition colourways to 80s Casual Classics such as green/orange and black/yellow in celebration of the annual Irish festivities. 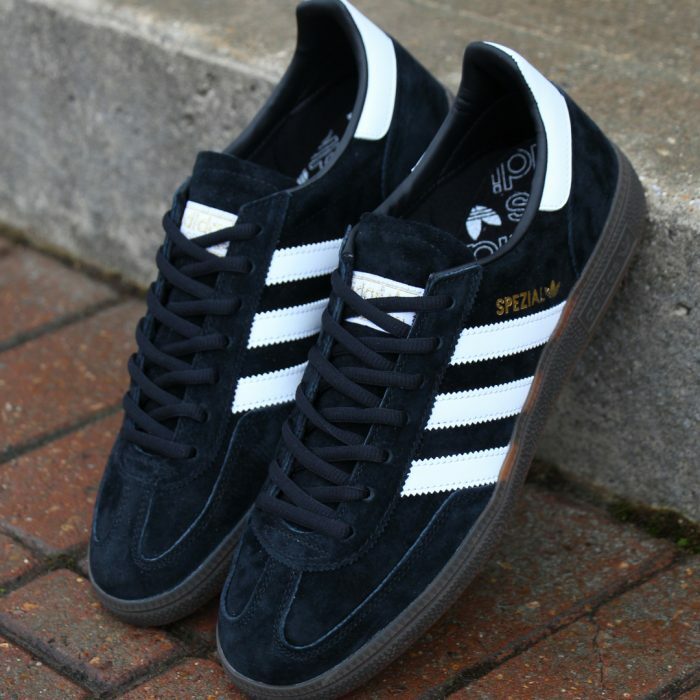 Each style is finished off with ‘SPEZIAL’ in gold foil to the sides as well as original adidas trefoil and ‘Handball Spezial’ branding to the tongue tab. 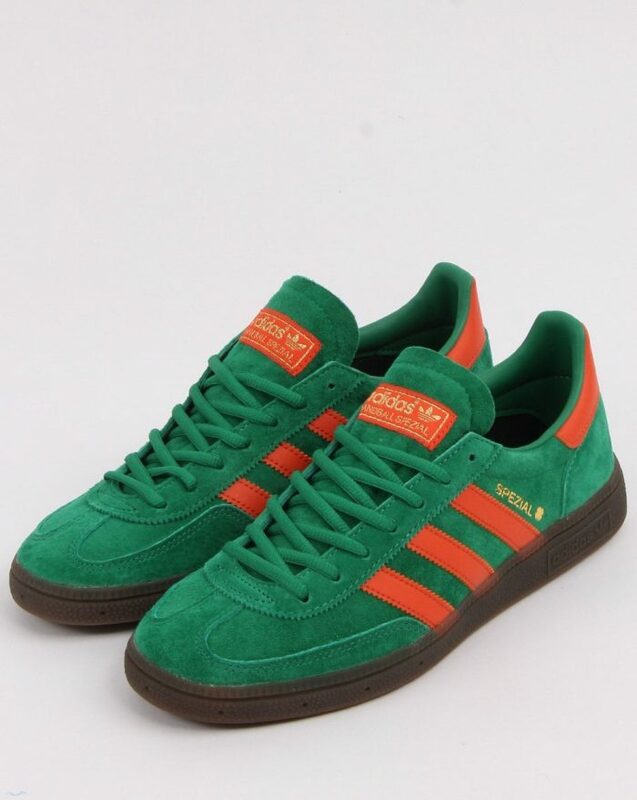 Above: The adidas SPEZIAL trainer in green/orange now available at 80s Casual Classics. 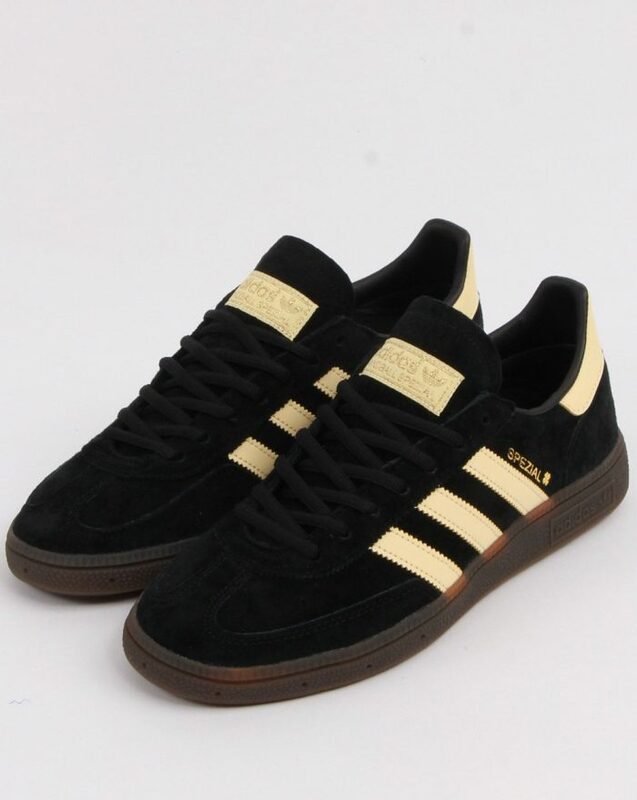 Above: The adidas SPEZIAL trainer in black/yellow now available at 80s Casual Classics.